Ah, the infamous unexpected setback, just when things were going so well, and we were making so much progress…! It helps to know that it’s to be expected – that it happens all the time. That’s because learning doesn’t happen on a straight upward path. So, yes, there will be not only bumps in the road, but lots of those smack-the-forehead, “dammit” moments. These moments are our life’s “Pop Quizzes.” And while pop quizzes are frustrating, to be sure, the pop quizzes that challenge us the most also invariably provide the best and most long-lasting learning experiences…if we allow them to! Rather than judge, criticize or shame ourselves in these moments when we seem to be “backsliding,” we can strive to discover, embrace and appreciate the learning they provide. Experiences that don’t feel good, especially those that cause enormous turmoil or emotional pain, are our biggest teachers. Why? Because the feelings are a signal that we had another choice in whatever event triggered them. When we’ve handled a situation in a way that felt uncomfortable, disrespectful or upsetting to us, that means there was a better way we could have handled it. Being willing to acknowledge and own that means we are choosing to be aware, and that is the necessary first step in learning. The gift in backsliding is that we get to learn more new ways to handle those types of situations differently going forward. Interrupt the normal course of our day/week/month/year…or life! Trigger feelings of irritation, anger, resentment, helplessness, victimhood or even hopelessness…to name a few! So yes, pop quizzes are disturbing! They churn up the previously calm waters you were enjoying right before they hit. 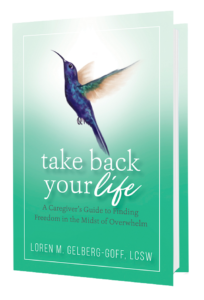 As caregivers, these pop quizzes often come as a result of a new health crisis, family challenge, or a frustrating scheduling conflict. 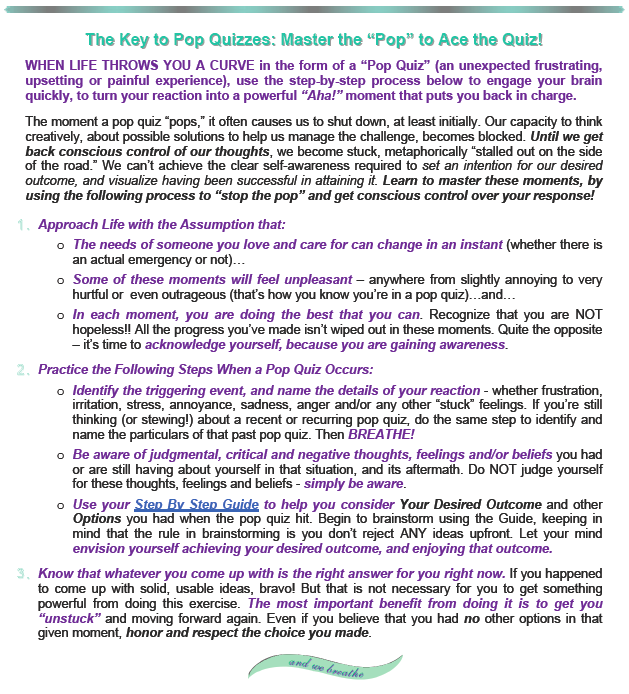 But I encourage you to begin asking yourself, “What if this event is here to bring me to a new and better place?” A pop quiz might just be about checking in to see if you really are committed to making changes in your life…and therein hold the key to actually achieving those changes. Therefore they are often our biggest gifts! The following situation occurred recently: Sally was working really hard at setting healthy, clear boundaries with her very demanding and controlling mother. She was practicing saying “no” with compassion, and making sure to do something every day that was just for herself. She was really beginning to feel that she could actually breathe…. Then she got a phone call from her sister that took her back to her old habits of “running and doing” for everyone but herself. Her sister called and said, “I can’t go to mom’s this afternoon.” Their mom needed to have companionship because she was feeling sad and lonely. 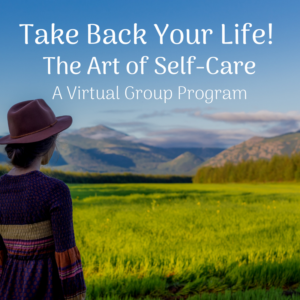 Sally heard the desperation in her sister’s voice, and told me later that she didn’t even think about herself – her plans for the day, her lessons in self-care she had been practicing… it all seemingly disappeared in a heartbeat. Sally just had to be there. She cancelled her plans for the day, told her husband that he’d be on his own with the kids for dinner, and that she’d be home after she got her mother ready for bed. She grabbed her keys and drove immediately to her mother’s home. And that is exactly my point: when you’re in the apparent chaos of the moment, it’s hard to remember to remind yourself that you can do something different. Old habits die hard! A note about choices and feelings: Sometimes after a pop quiz moment we don’t feel like our choice of response made us feel any better, so we end up feeling like it was a “bad” choice…but, looking back later, we realize that the choice ultimately turned out to be a good one. So be willing to look again at your “failures” – since what felt like sliding backwards at the time may actually be something to feel good about. So don’t stop learning and growing, or settle for staying stuck – you’re NOT hopeless! Just as we “can’t steer a parked car,” we will remain unable to navigate in any positive direction until we consciously decide to stop being critical and judgmental of ourselves. Be willing to take that very important deep breath, hit your internal “reset” button, and take that closer look at what seems uncomfortable at first. That will start you moving forward toward your desired outcome. It will be time well spent, because opportunities to master our pop quizzes, make new decisions and learn new lessons are some of the most plentiful and continuous occasions in life! If you haven’t yet downloaded your Step By Step Guide, you can do so here now!